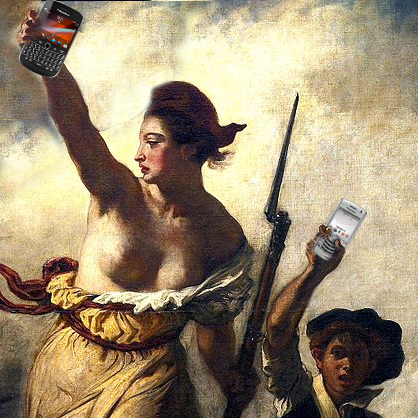 It can't be easy to be a BlackBerry user these days. Despite the hardware and software maker's (arguably) best efforts, the company has fallen from its height as the undisputed king of the boardroom to shipping just one out every two hundred smartphones worldwide in the last quarter. The reasons for BlackBerry's decline are legion: a failure to innovate quickly as Android and iPhone adoption soared, an ineffective ecosystem and infrastructure, and hardware missteps like the Storm at critical junctures. But one thing tends to upset users more than any other: a lack of apps. 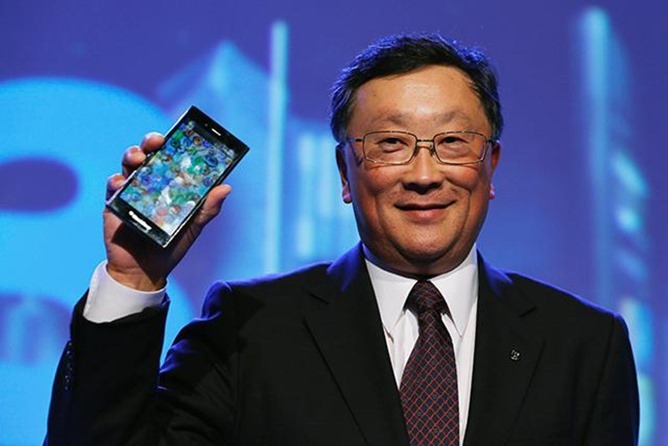 It bothers BlackBerry CEO John Chen too. So much so that Mr. Chen actually equated application disparity with net neutrality in this official blog post, saying that the lack of apps available for BlackBerry versus Android and iOS creates a "two-tiered wireless broadband ecosystem." The use of the word "tier" evokes the kind of nightmare situation that proponents of net neutrality often envision if strict rules aren't put in place by the government. Chen goes on to say that "neutrality must be mandated at the application and content layer if we truly want a free, open and non-discriminatory internet." Chen seems to think that net neutrality, the concept of treating all web traffic as equal regardless of its source or content, should apply to applications and their availability on different platforms. That's a nice thought, until you remember that net neutrality or the lack thereof is a regulatory issue: the whole sodding argument is about whether or not the government can or should force ISPs and wireless carriers to avoid "fast" and "slow" lanes and the possibly discriminatory data practices that can follow. Equating "app discrimination" to net neutrality is to suggest that developers should, through some regulatory mechanism, be forced to develop applications for every platform. Developers choose which platforms to put their apps on based on their own resources and on market demand. That's how it works. It's how a lot of things work: for example, a lack of demand is the reason that many game console titles don't make it to the Wii U. A lack of demand is why BlackBerry itself doesn't make the BBM messenger for, say, Samsung's Tizen OS phones. A lack of demand is why you can't buy Iron Man for Betamax players. And I'm sorry to say it BlackBerry users, but a lack of demand is why you can watch Netflix on every computer, phone, tablet, set-top box, smart TV, and game console out there, and not your BlackBerry phone. These "discriminatory practices," as Chen calls them, are the result of market forces and the realities of development, not an intentional effort to support one platform at the expense of another due to anti-competitive backend agreements. Many net neutrality proponents see free and open access to the entire Internet as a basic cornerstone of civilization in the 21st century. Equating it with watching Futurama reruns on a platform that's all but dead isn't just dumb and self-serving, it's deliberately obfuscating an important issue. Chen proposes that app discrimination is a horrible affliction that needs to be addressed, possibly at the federal level. I would point out that I can't use iMessage on my Sega Dreamcast, either... a device that, in a few years, will be exactly as relevant to this point as any BlackBerry phone.